Dance is for everyone. Anywhere. Ballet though is tough. You need to have the body, perfect the technique and then learn how to abandon it to each sound and accent of the musical masterpiece. And you have to do it for so many years without loosing the passion (or break a knee). This is why it is sometimes hard to understand how ballerinas sacrifice so many of their life for the perfection of that moment on the stage. 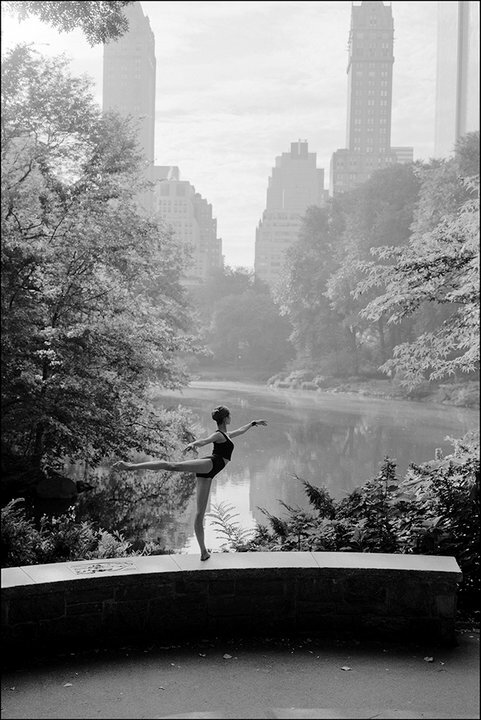 One smart group of people came up a few years ago with a nice concept of integrating ballet instances into the urban jungle. Then, the most beautiful pictures were part of a nice printed series one could buy online. Some of the pictures are absolutely breathtaking. See how the bodies match perfectly the surroundings. It’s just magic! Enjoy!